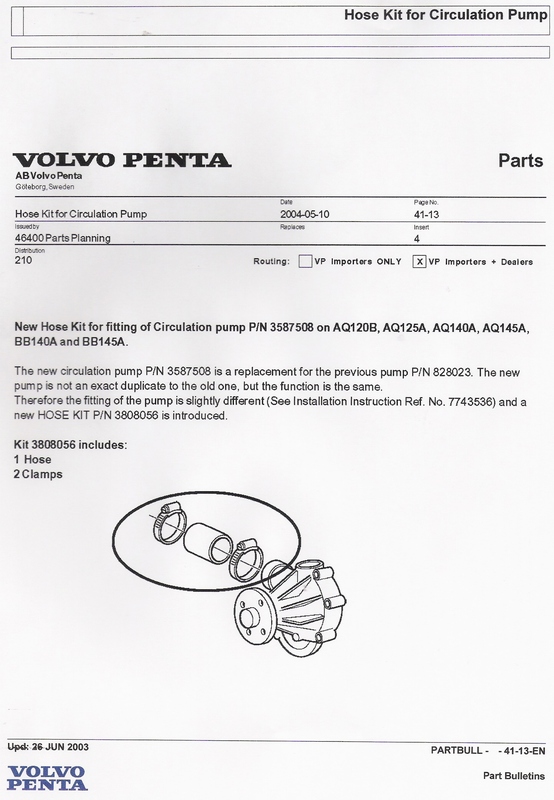 AQ CIRC PUMP Changed design to circulation pump of all Volvo 4 or 6 cylinder in-line engines. 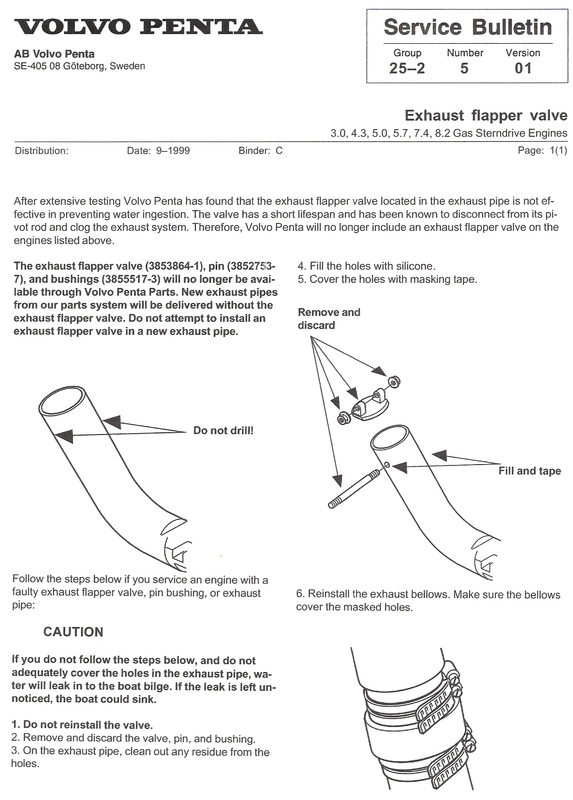 Short explanation: remove one pipe, add one hose. 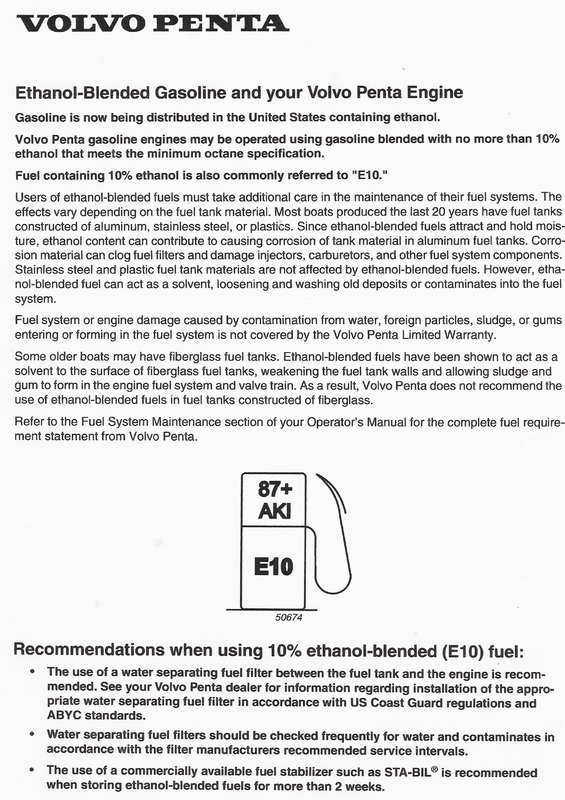 ETHANOL ISSUES Mercruiser's article from the Mercury Messenger on ethanol problems. 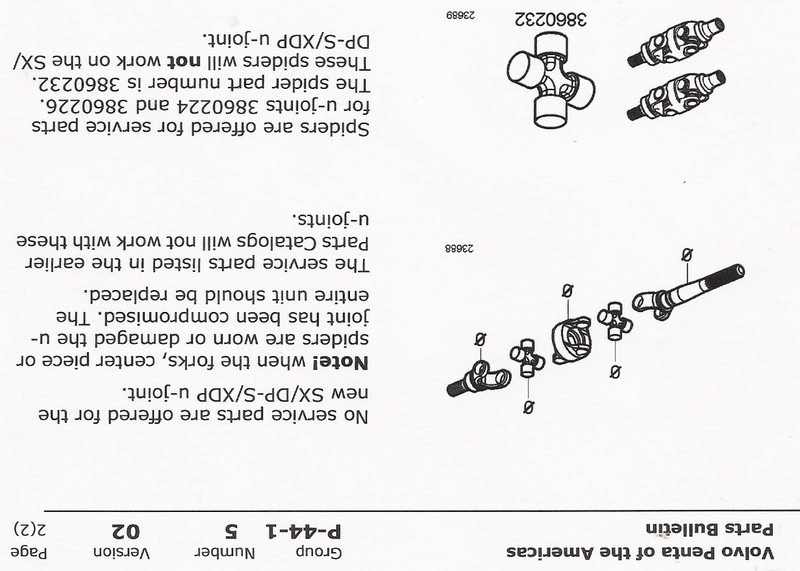 ENG MOUNT BOLTS New Volvo Penta engine mounts for D31, D41 and D42 engines Short explanation: have to make a bigger hole for the engine mount on the bracket. 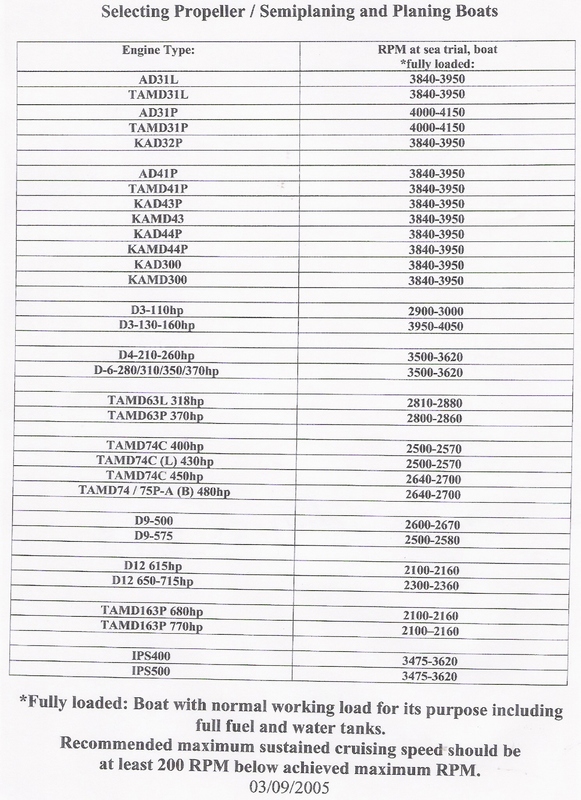 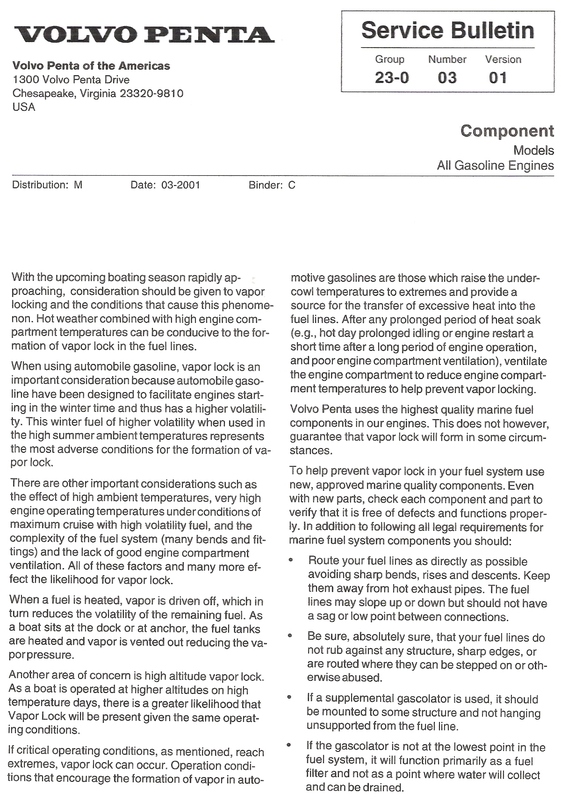 GM OIL FILTERS Volvo Penta Parts Bulletin explaining different sizes of oil filters for GM engines. 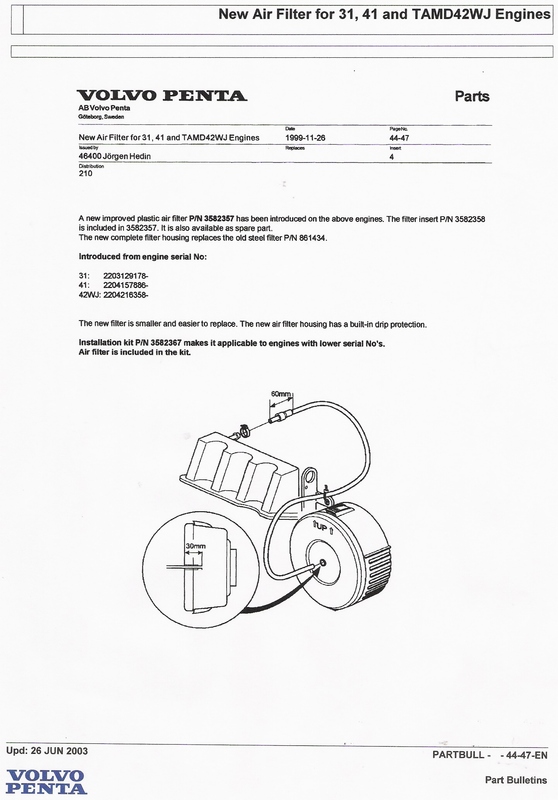 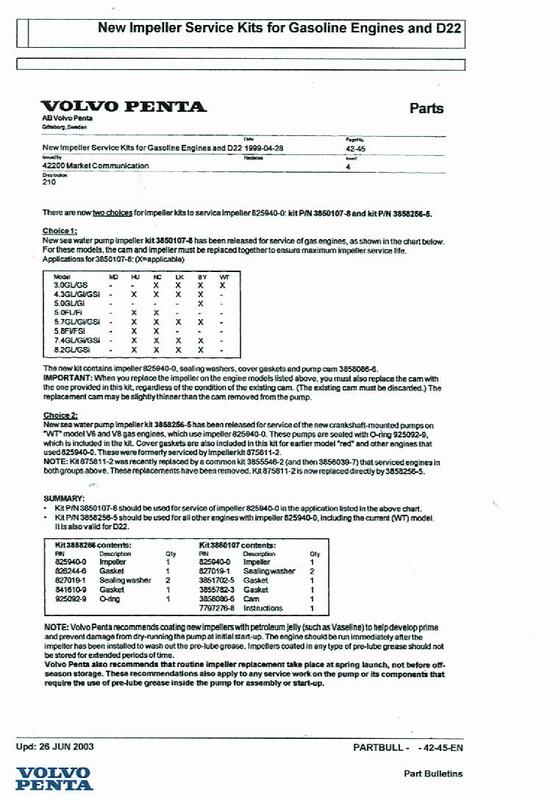 IMPELLER 825940 Volvo Penta Parts Bulletin explaining the superceding numbers for this impeller. 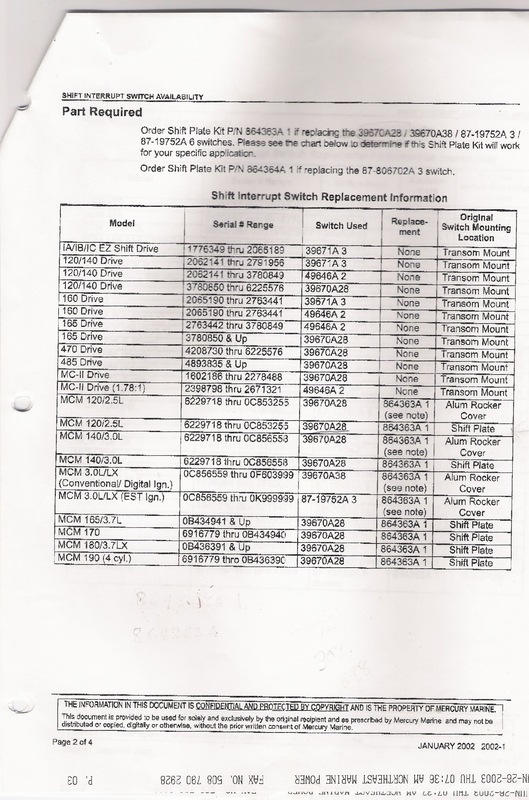 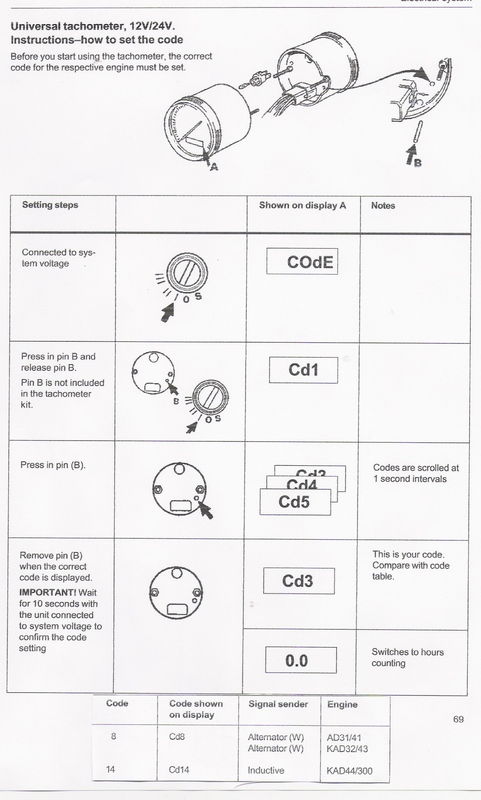 Note: part numbers have changed even after this bulletin has been printed. 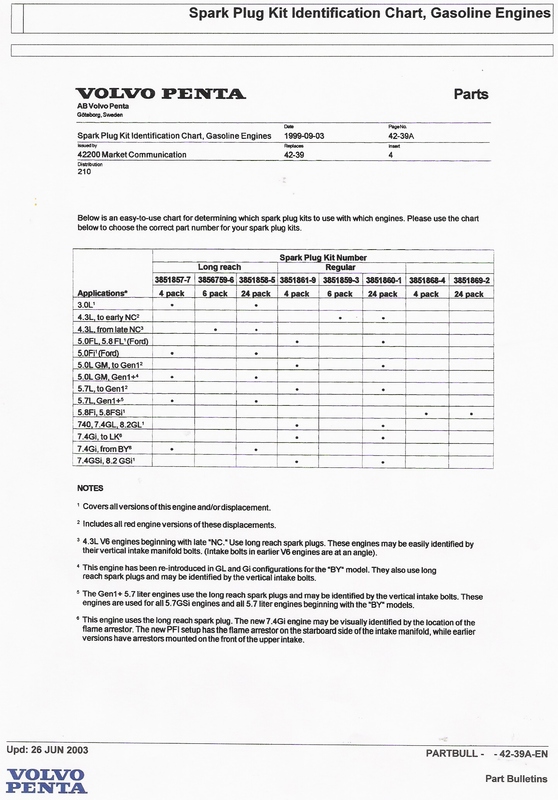 You may rely on Marine Parts Express RPL numbers or the ONE LIST to find the new numbers. 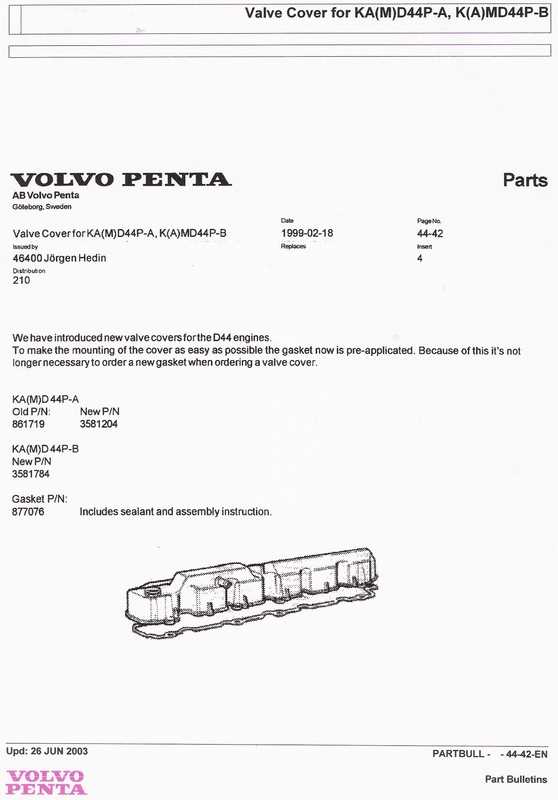 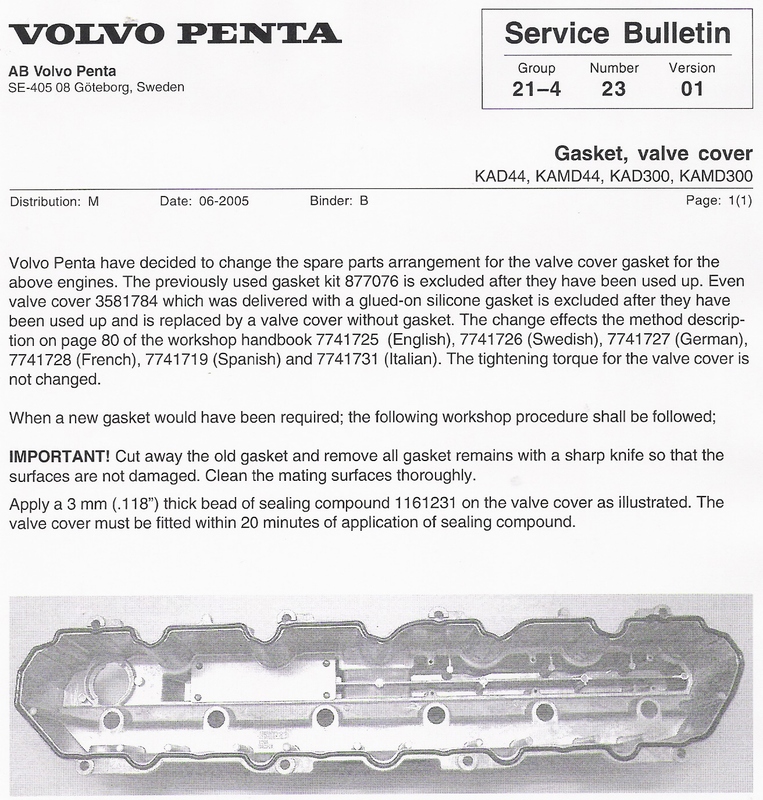 VALVE COVER GASKET KIT Installation instructions from Volvo Penta for changing the valve cover gasket, kit #876953. 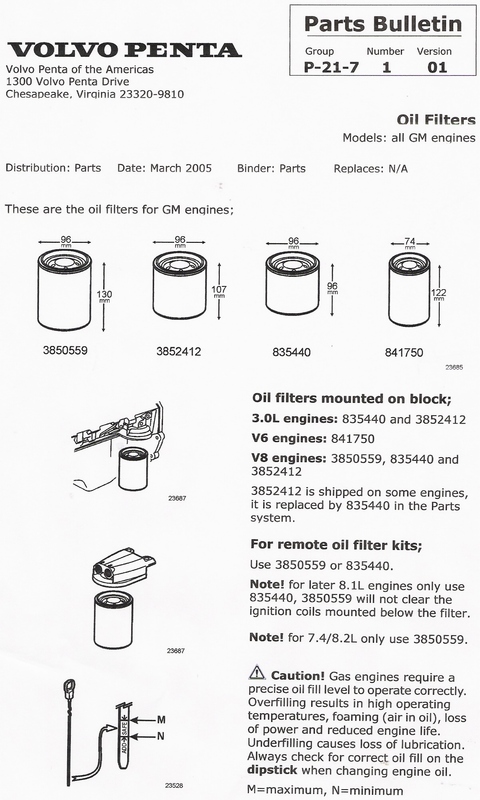 GM Oil Filters Which Volvo Penta oil filter to use for your GM engine. 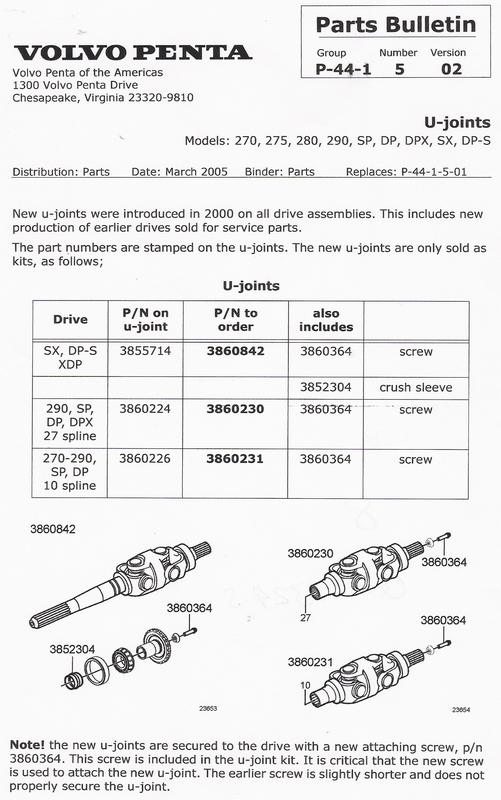 Sterndrive U-Joints Replacement numbers for complete u-joint assembly categorized by drive type: SX, DP-S, XDP, 270, 290 etc. 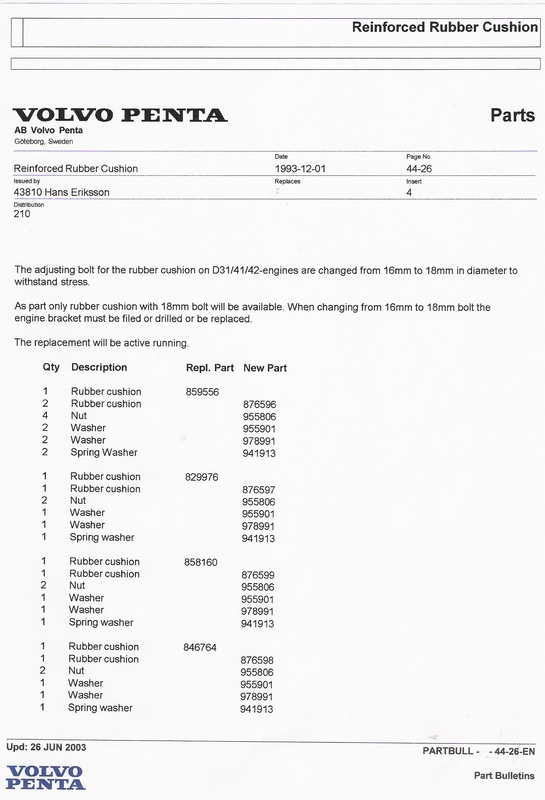 Rubber Cushion Engine mount bolt size change for the D31, D41, D42 engines. 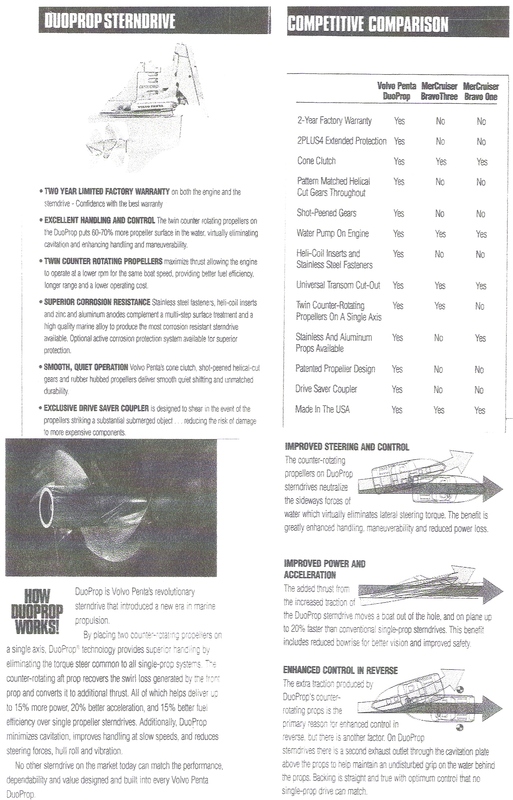 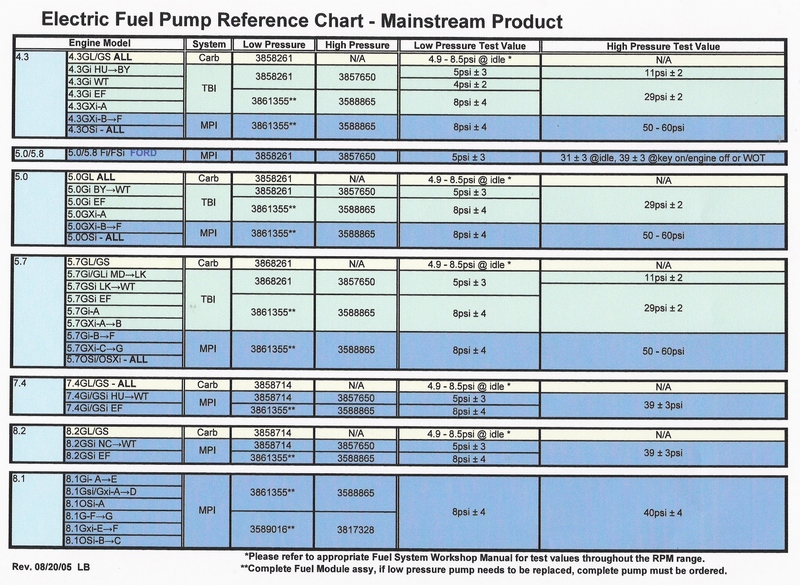 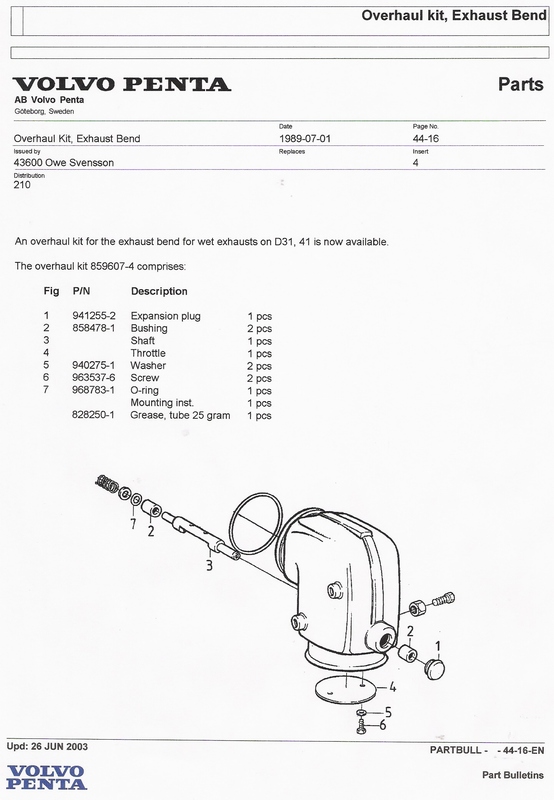 Fresh Water Flushing Parts list to hook a garden hose up to flush your Volvo Penta gas engine. 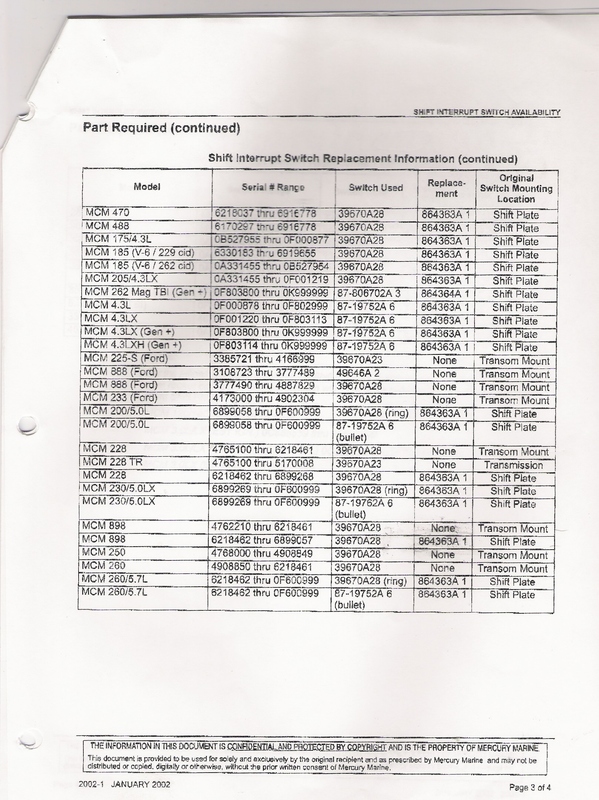 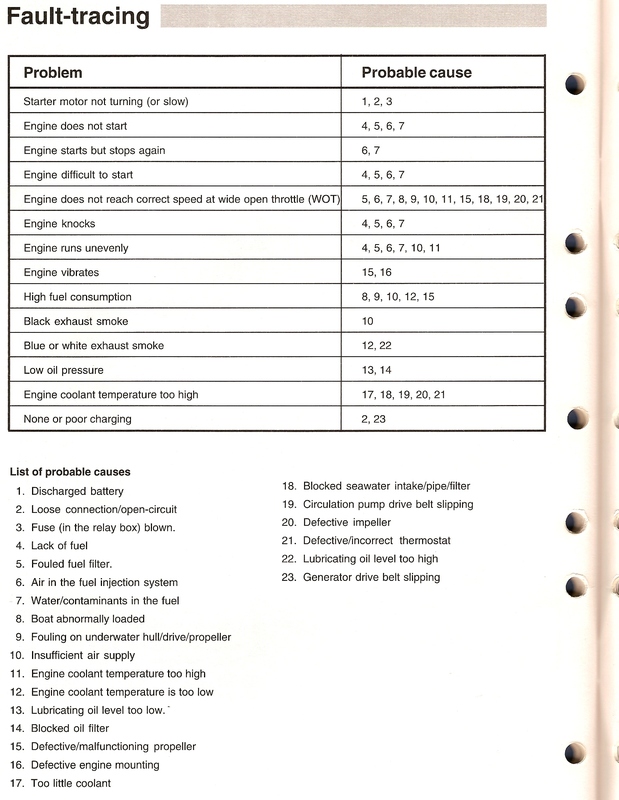 Part number 23 is where you connect the garden hose. 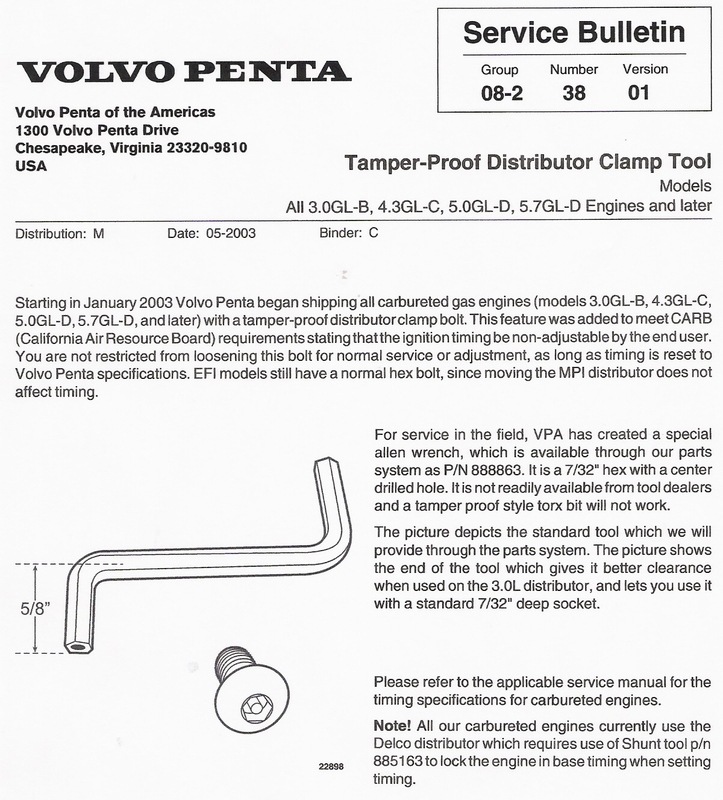 Prop Puller Tool To remove stuck Volvo Penta DP-S, DPS-A sterndrives that use the D and F series props.